AMENAGEMENT EXTERIEUR DEPT 34 30 11 66 31 81 82. - Album photos - ENTREPRISES DEVIS TARIF TOULOUSE ENROBE GOUDRON, GOUDRONNAGE, ENROBE, POSE DE BITUME, ASPHALTE, BEZIERS, MONTPELLIER, NARBONNE. 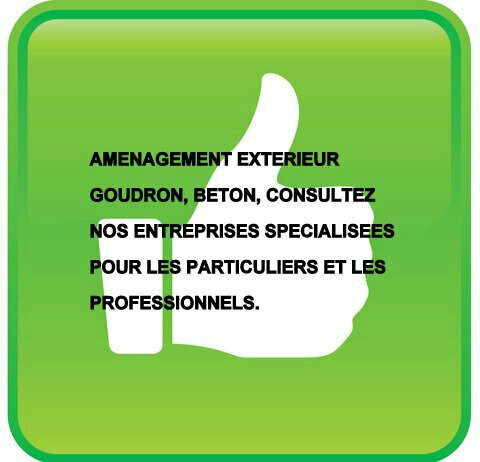 NEWS DEVIS ENTREPRISE AMENAGEMENT EXTERIEUR PARTICULIERS PROFESSIONNELS MONTPELLIER NIMES NARBONNE TOULOUSE PERPIGNAN CARCASSONNE 30 34 11 66 81 82 31 PRIX GOUDRON ENROBE COULEUR BETON DECORATIF GRAVILLON BICOUCHE ALLEE CHEMIN PARKING JARDIN PRIX TARIF M².